Growing up in a vibrant culture where weddings are anything but a small celebration, Mandeep always felt a keen passion for henna. From the art of creating beautiful designs to the sheer joy of watching the response as she dwelled in forming magic, she knew that henna art was an inbred talent that she had to explore. Although her desire was to create all sorts of art with henna, she was truly inspired to transform this hobby into a profession after she attended Mr Kumar's studio for an open day in 2010. From than there was no looking back and she attended a 5 day henna course at the AK studio and was hand picked by Mr Kumar himself to join the AK agency in 2011. 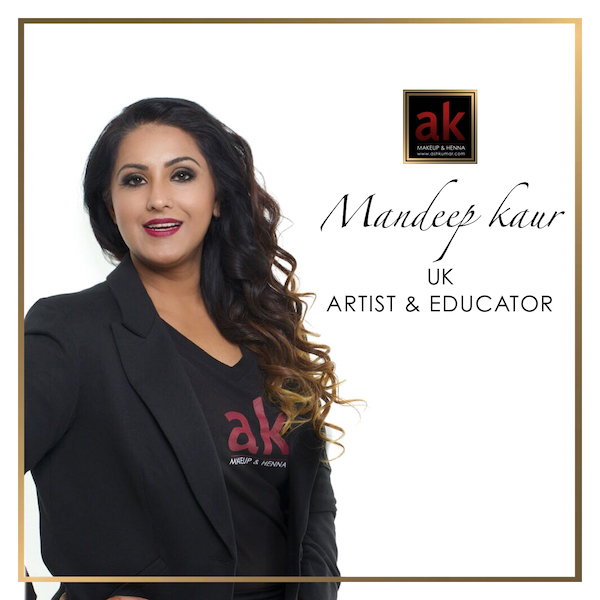 Today Mandeep is living her dream representing the AK agency offering her expertise in creating personalized and complex designs for brides, guest henna packages as well as henna at international and corporate events.